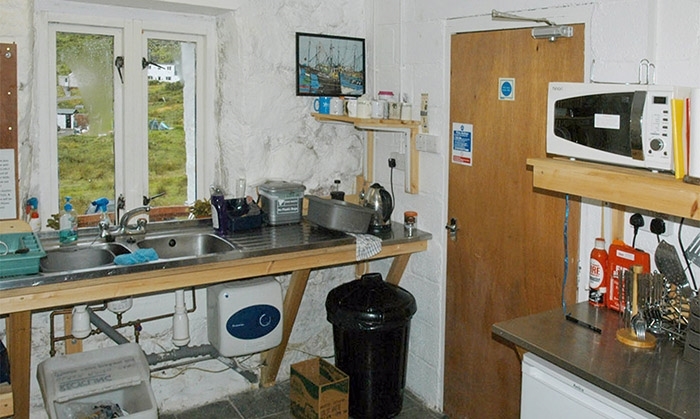 Rhenigidale Hostel lies at the heart of a small crofting community on the remote east coast of Harris. Travellers will find a haven in the Youth Hostel while they explore the mountains and tracks of this quiet and beautiful area. 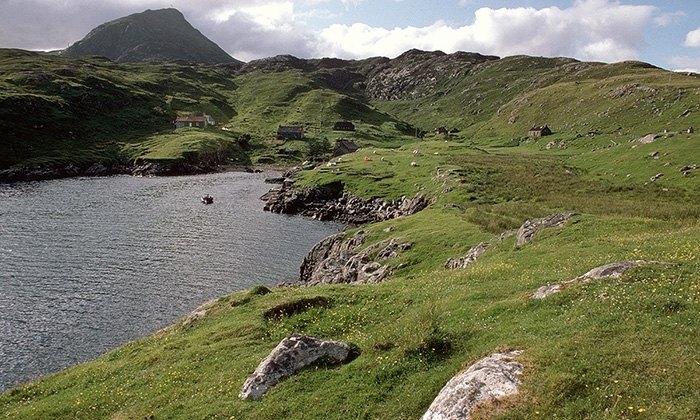 Rhenigidale is a small community on the remote east coast of Harris in the Outer Hebrides. No longer as isolated as it once was, it is still an adventure to travel there. Travellers will find a haven in the Youth Hostel while they explore the mountains and tracks of this quiet and beautiful area. 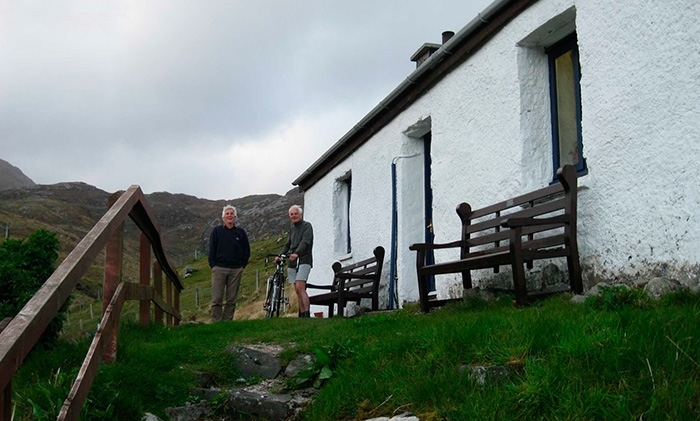 In 1962 when the Hostel opened, the only access to Rhenigidale was by sea or by walking the two miles from Tarbert and taking the footpath over the hills – as the postman did three days a week. A road was constructed to Rhenigidale in 1989 and today you can arrive by this route, by bike, car, taxi, or on the daily bus. 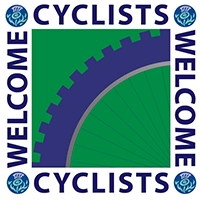 The Hostel is at the heart of the small crofting community with the warden living next door. Today there is broadband, electricity and a road, all unknown when the hostel opened 50 years ago. 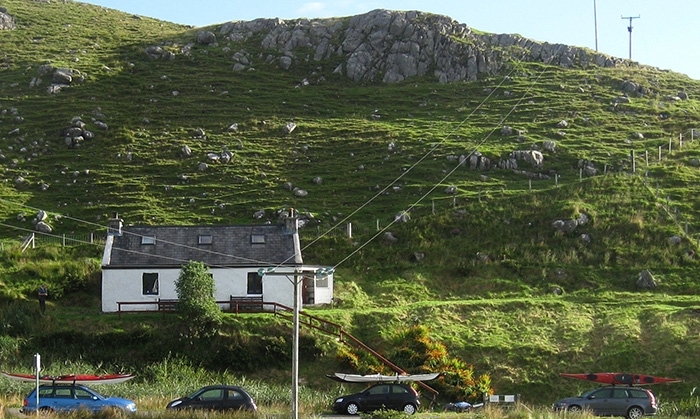 Rhenigidale is a simple Two-Star Hostel with three shared bedrooms providing accommodation for 14 people. Tents can be erected outside on leveled ground. You will find good company even if you come as a single person. You cannot book to stay here - just come - there is little chance of not finding a bed. 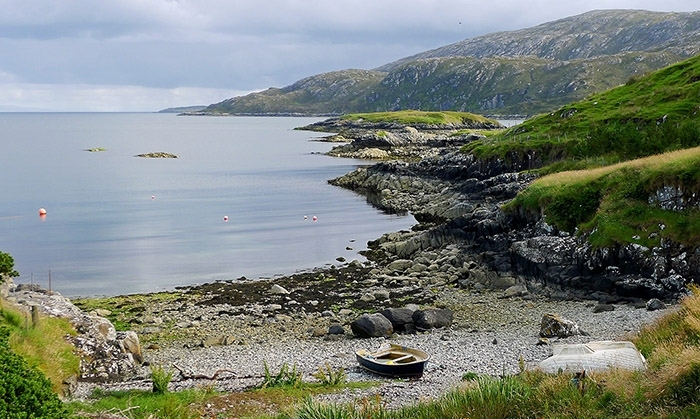 The Isle of Harris and Lewis is a remarkable part of the British Isles, with fabulous beaches backed by wildflowers - and a harsher side - landscapes of naked rock made fertile only by years of toil using seaweed and manure. 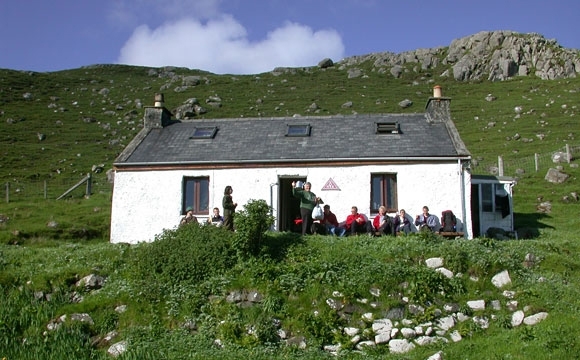 The interior of Harris can test the most dedicated mountaineer or long-distance walker because of the unrelenting nature of the ground. 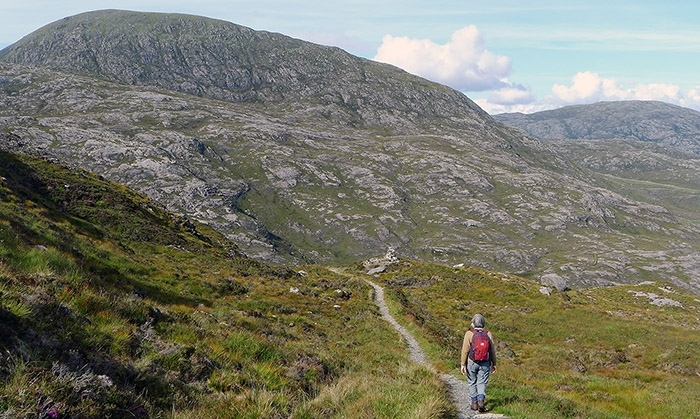 Walking across this country is a wilderness experience that has few equals. 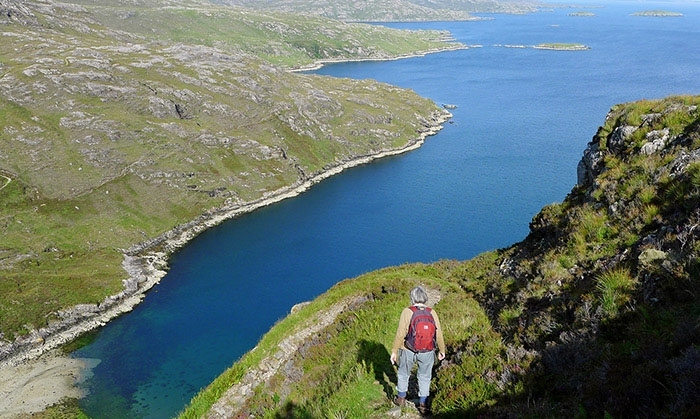 The Postman’s Path between Rhenigidale and Tarbert has been called “the most beautiful path in Britain “. It is a well-engineered footpath embracing coast and hill, and passes through dramatic scenery. Another enticement at Rhenigidale is to climb the mountain that dominates the village. 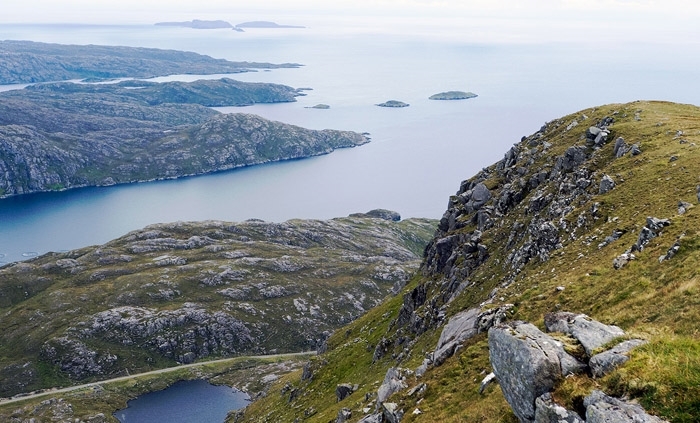 Toddun may be only 528 m high but has the build of a higher mountain and provides a birds-eye view of the community, the coastline of the Outer Hebrides and inland to the challenging mountains of the Harris Forest.